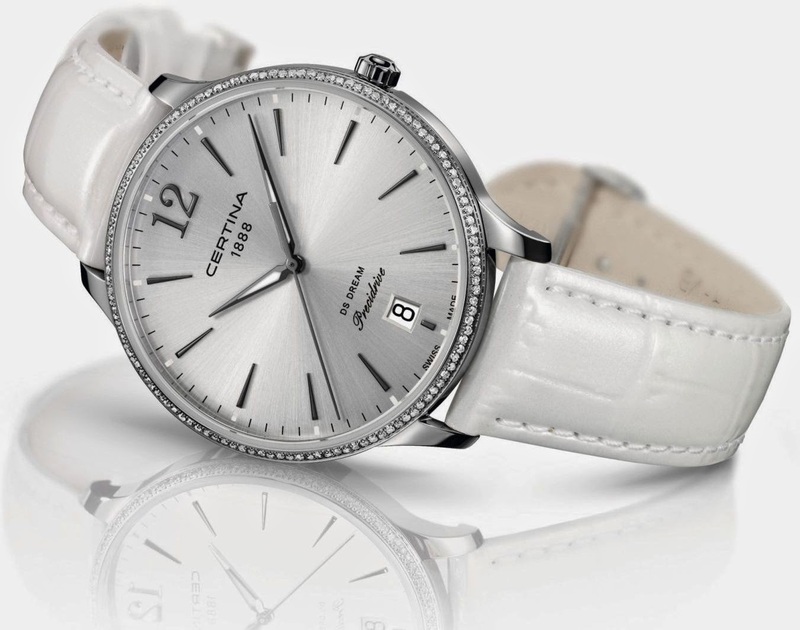 Swiss watch maker CERTINA enhances their popular DS Dream collection with three new exceptional timepieces including a fresh silver-coloured-dial version and a luxurious diamond adorned version. Equipped with a high-quality Swiss Made ETA Precidrive quartz movement, these timepieces are suited for all occasions from workplace to evening settings. The DS Dream’s exquisite fully-polished 38mm stainless-steel case is open and bright, with a thin bezel that beautifully underlines the silver-shaded dial and stylish sunray finish. Behind a sapphire crystal treated with anti-reflective coating on both faces, a Swiss Made ETA Precidrive quartz movement marks time with breathtaking accuracy. It then shows it through delicate, feminine PVD rose-gold indices and Superluminova-treated rose-gold hour and minute hands, as well as a date window conveniently placed at 6 o’clock for best legibility. The DS Dream is a work of true elegance whose design nevertheless includes the best in modern finish and technology. It is equipped with CERTINA’s well-known DS Concept, for solid, proven reliability, and the timepiece is water-resistant up to a pressure of 10 bar (100 m), as evidenced by the presence of the CERTINA turtle symbol on its case back and a DS logo on the tip of its crown. 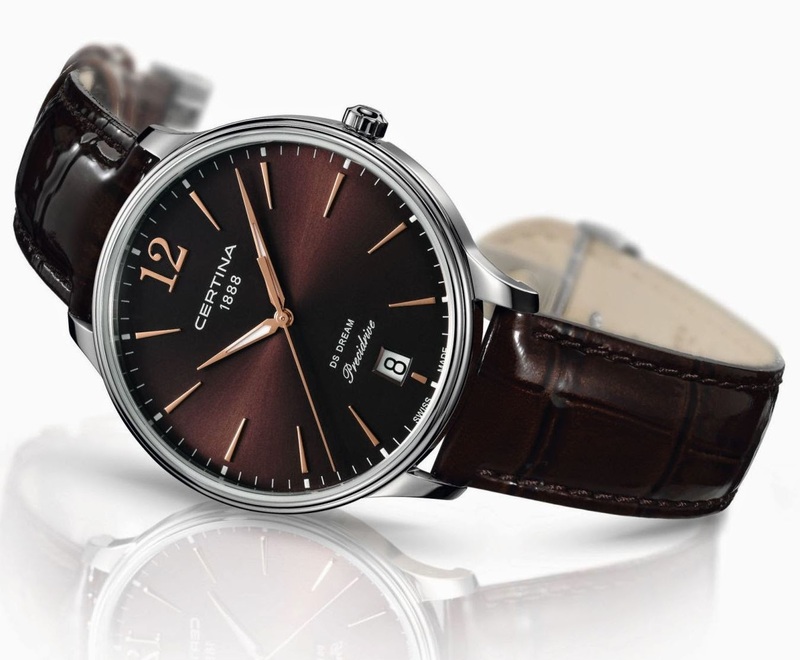 Three distinct models are available: A silver-colour-dial version with rose-gold hands and indices and a white leather strap, a brown-dial model with rose-gold elements and a brown leather strap, and an exquisite version with a silver-colour dial, black nickelled hands and indices, a white leather strap and 120 Top Wesselton diamonds around the bezel. All models of the DS Dream are equipped with a butterfly buckle. Diamond model: Bezel with 120 diamonds, Top Wesselton, full cut, VS-SI 32/34, 0.34ct.